A stunning position for a contemporary build, but with an obstacle in its direct line of sight. More of a challenge than an issue for the Märraum team – and one that they relished. Tim and Sarah had visited the same Cornish seaside spot many times over the years. So when they spotted a bungalow up for sale in the area, they just knew they had to have it. 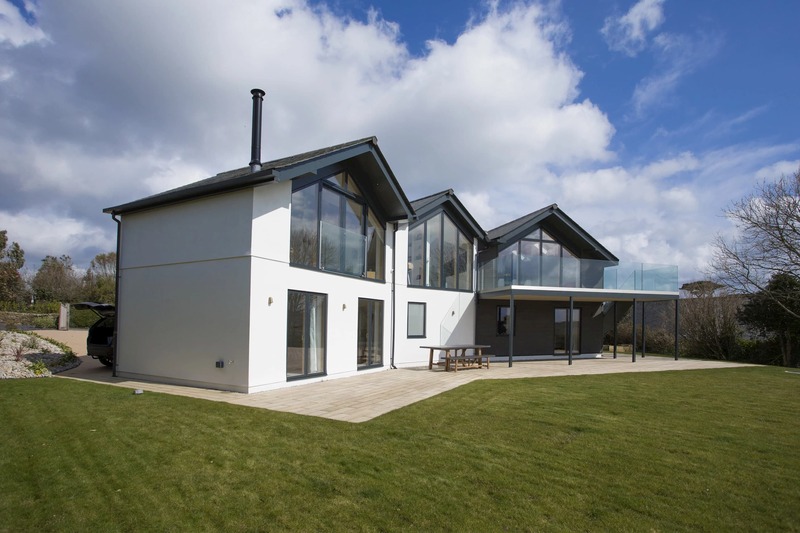 Their vision however, did not include the bungalow itself – so after knocking it down, we were brought in to help design a distinct, original and breathtaking family home, from the ground up. With a from-scratch approach, we knew that there was huge potential to create a building that could really make an impression. 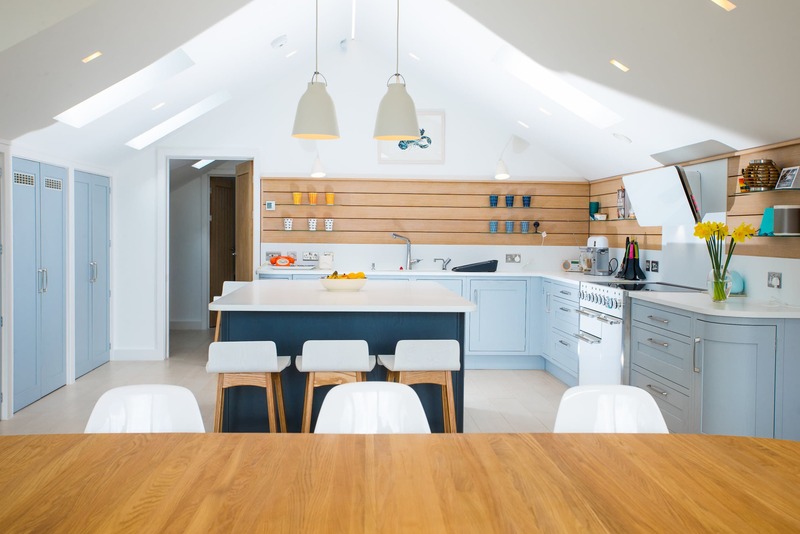 The couple knew it too, which is why they entrusted us to come up with plans that would make the most of the light, space and position, with a contemporary and unusual build reflecting their keen passion for design. Located in a quaint seaside town that’s a real stickler for change (and rightly so), we needed to be savvy and sensitive with our building designs, while still inspiring awe in their application. With blue Atlantic waters, Trevone Lighthouse, and Pendennis Castle lying in front of the proposed property, we knew we had to make the most of the views. However, with another home sitting slap bang in the middle of the line of sight we had a challenge on our hands. Our team got together to sympathetically design a second storey to the building, which was bought to life through Landstone’s careful and considerate attention to detail throughout the build stage. Through clever design, strategically placed windows, and cranking the corners of the building inwards, we engineered it so that the house that obscured part of the view in front never sat in the central focus line from any point inside the building. Wide aspect windows, alongside an intricately designed roof, helped to draw in and capture more light in the upper storey. This created a lofty and expansive space, while providing minimal intrusion to the surrounding dwellings – no mean feat. Not all new builds are created equal – and this one really is a league beyond. Stepping through the door to the cavernous atrium, and climbing up the stairs to experience a tapered roof that resembles a folded aeroplane; this new build is already bursting with character. It’s the perfect property for Tim and Sarah to use as their family home.